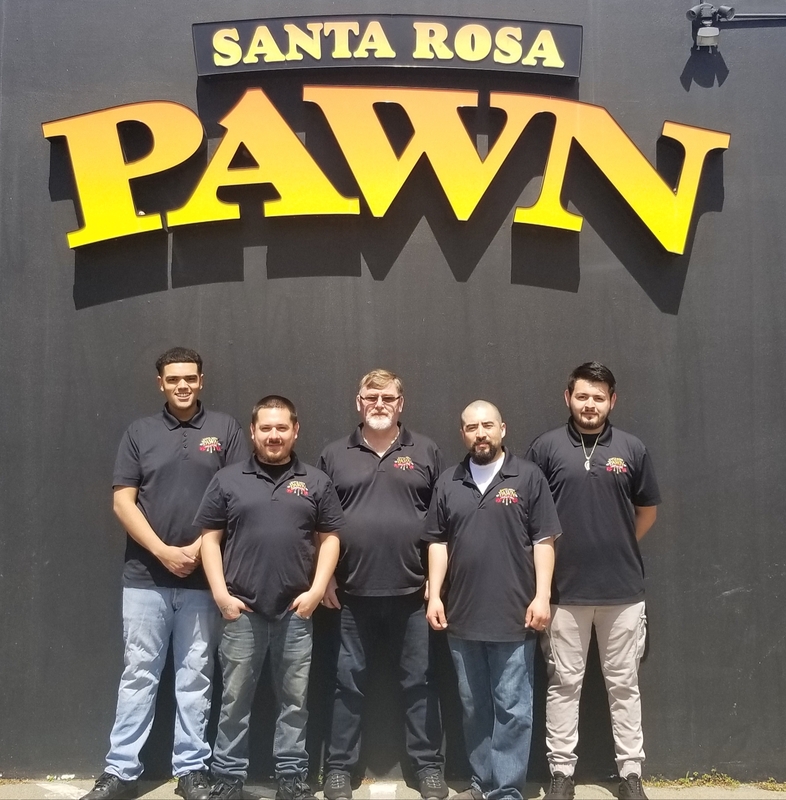 About Us | Santa Rosa Pawn | The Friendly Pawn Shop! Santa Rosa Pawn is a locally owned and operated store. This is a family run business and we take pride in providing professional service to our clients and customers. Our family has been in the “Pawning Business” for over 20 years. This is the only store in Sonoma County and there are three more in Monterey County. At Santa Rosa Pawn our employees are trained to provide friendly professional service. We strive to provide a pressure free and confidential environment to help with your specific situation. Santa Rosa Pawn provides you with options. We will do short term collateral loans or we can purchase your item. If you need to borrow some money to pay a bill or just to get by until your next paycheck arrives, we are here to help. Maybe you have extra tools, jewelry, musical instruments or other items of value laying around that you no longer need, you can bring them in and turn them into CASH. Santa Rosa Pawn is both a “Buy and Sell” store with a complete line of tools, musical instruments, bicycles, electronics, TV’s and much more, of course a large selection of GOLD Jewelry at way below Jewelry store prices. Come in and see the selection and deals. Santa Rosa Pawn is licensed and regulated by the Department of Justice, as well as local police departments. We’re also licensed as a second-hand dealer with a retail sales business permit. The main difference between buying an item in a pawn shop versus buying the same item at a retail store is the price. Pawn shops are an ideal place to find great deals on jewelry, electronics, tools and more at one-half or one-third of the retail price. For your peace of mind and protection, we always work closely with local law enforcement to ensure that all items sold in our pawn shop have not been stolen. In fact, less than one-fifth of one percent of all collateral is even suspect as having been misappropriated in any way. In accordance with California state laws governing pawn shops, our pawn loans typically last about four months with a 10-day grace period. APR interest rates vary from 2% to 35.99% and are based on the value of your collateral, as well as the length of your loan. All rates and terms of loans are strictly regulated by the State of California. To learn more about the terms and conditions of our loans, please feel free to contact us! Have questions about our store policies, what we purchase or any other concerns, please visit us or call.